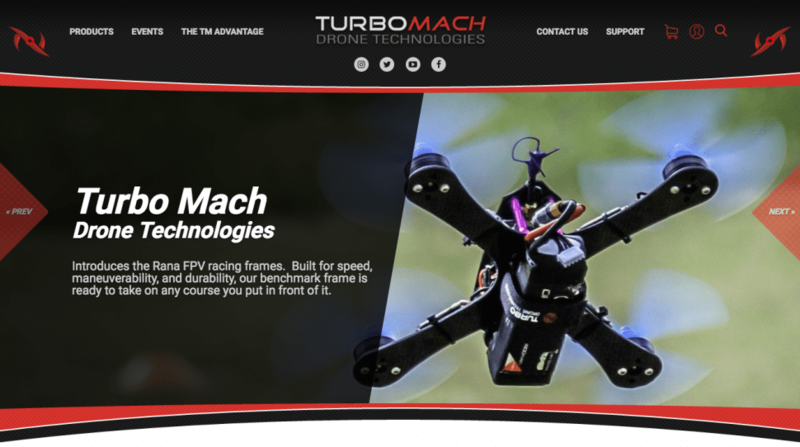 Turbo Mach Drone Technologies gets a new website! Announcing Turbo Mach Drone’s New Website! VND is happy to announce the release of a new website for Turbo Mach Drone Technologies! Turbo Mach is a division of VT San Antonio Aerospace Inc., a maintenance, repair, and overhaul (MRO) service provider to cargo operators and commercial airlines, which operates out of the San Antonio Airport. Turbo manufactures and races FPV (first person view) drones across the country, and also operates out of San Antonio. They came to VND to get a new ecommerce website created. 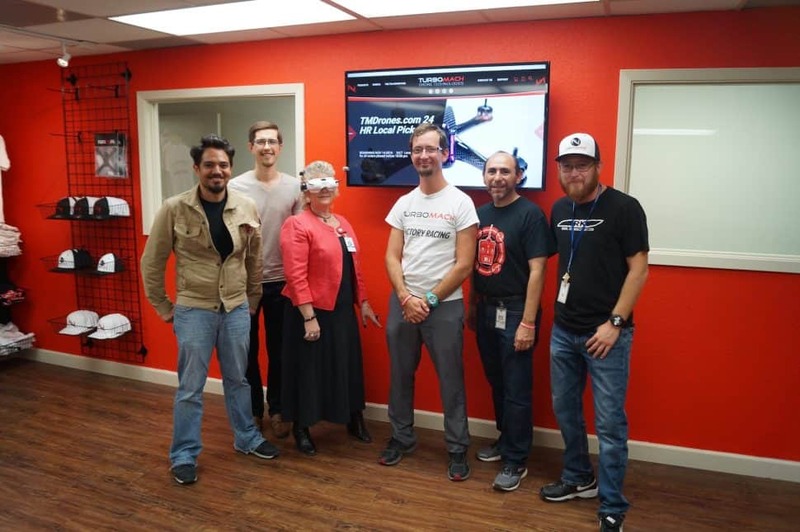 Upon visiting the Turbo Mach offices, it became clear that this team cares deeply about creating and building great products, but also cares about enjoying the process. Much of the perspective and expertise that VT SAA brings as a whole is reflected in how the Turbo team approaches drone building and testing. We got a first hand look at how FPV racing works, and it is astonishing just how fast these drones can move. We’re not talking the cheap plastic hovercraft drones you can buy at kiosks in the shopping mall, we’re talking medium weight, bird-sized flying machines that can reach up to 80 mph in speed and turn sharper than 90-degree corners (with efficiency) at top velocity. It’s undoubtedly impressive. 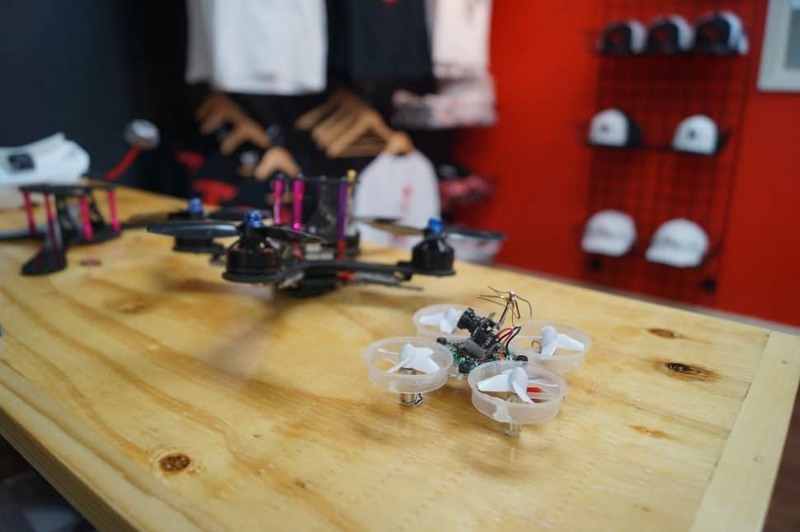 To match this awesome technology, the group needed a great website and ecommerce platform to promote their business and sell their racing drones and drone parts. We at Visual Net Design were happy and excited to take on the task. In conjunction with Roland Peña, Operations Manager VT SAA and David Granc, Project Manager for Turbo Mach, VND designed the site to reflect the nature of the business and the products on offer. The navigation menu for the site (the “menu” or “menu bar” at the top or side of most websites) is centered across the top of each page, with the company name in the center. The other pages of the website sit to the left and right of the company name, which acts as the “Home” tab on the menu. Every banner image on the site fans and curves out, creating a slim middle and wider ends, just like a drone with a small center and four “arms”. On a mobile device this effect is magnified. The big advantage for Turbo and its employees is that they can now easily add their products and make specific product updates or changes from a simple to use website backend (through WordPress). Through some customizing of the functionality of the system, VND was able to tailor the ecommerce platform for Turbo’s specific needs. What has resulted is a sleek and reliable site that showcases the nature of the brand in a visual way. You can explore the website at www.tmdrones.com. VND is proud of our work on the website, but we are even more proud and excited that we were able to help out a company as unique as Turbo Mach Drone Technologies. You can check out our case study for this project here, as well as some of our other work in our Portfolio.